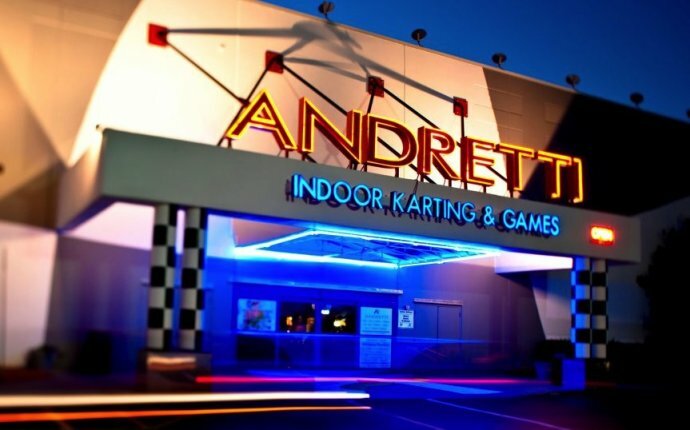 Andretti Indoor Karting and Game's is Atlanta's premier entertainment and event destination! With over 100, 000 square feet of non-stop thrills and attractions, the whole family will be screaming for joy. Channel your inner Andretti on our high speed karts as you zoom around the track at speeds up to 35mph. The thrills continue once you step off the track as you enjoy sky high thrills on the Ropes Course, Cosmic Rock Wall and Zip Line. Step into the Dark Ride motion theater with intense motion & 3D special effects or train like the pros on our state of the art Racing Simulators. Cross the finish line, and take a victory lap in the Andretti Grill featuring fresh and delicious American cuisine with a full bar.